The Mystique 1.5 replaced the ALPS Mountaineering Triton 1.5. 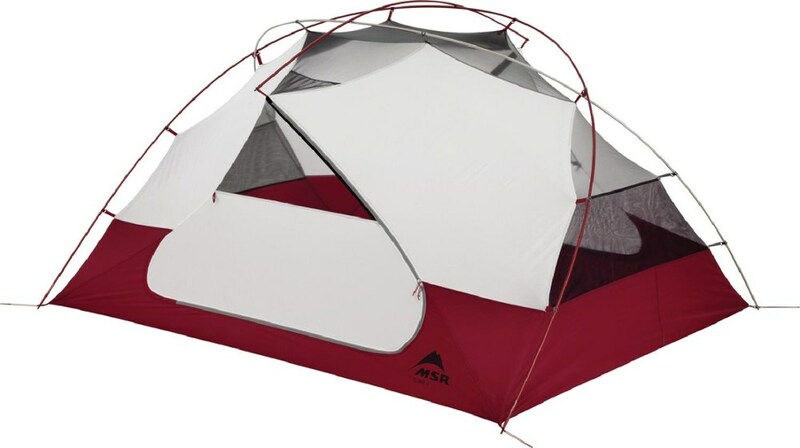 Great value in a quality 1-person tent. Some seams need to be sealed. Alps Mystic 1.5 on bicycle tour at Perrot State Park. Other equipment in the photo includes JetBoil Stove, GSI Minimalist cookkit, GSI coffee funnel, homemade coozie. Hanger addition to the tent. The standard causes whatever is hung on it to hit you in the head when sitting up. 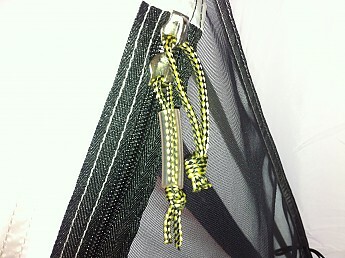 Customized zipper pull with tubing covering the pull to open door for easy night time exits. Storage is ample for 4 bicycle panniers (2 per side). I purchased the Alps Mystic 1.5 mostly for bicycle camping. The specs for the tent from the space provided to the water column rating and the price were factors in my decision. Upon receiving the tent and unpacking, I decided that even though most of the critical seams had been factory taped, there were several that I thought needed added protection. I made up a sealer with ShoeGoo thinned with lacquer thinner and touched up those seams. I do not know for sure if it made a difference, but the tent has performed excellently in heavy rain. The last night of a 6-day bicycle trip last summer I slept through a night with 5 inches of rain in perfect comfort. Setting up the tent is easy however I do not follow the instructions that come with the tent. First I unroll it over a ground sheet and then stake the two loops at the tall end. Then I thread both poles. 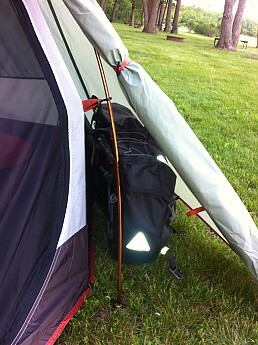 Third, I pull the tent taut from the foot end and stake the loops there. Lastly, I set the fly and add the final stakes as needed. Total setup in two to three minutes. The quality of materials seems quite good and the seams and stitching OK for a tent in this price range. The doors open easily and the vestibules fit my bike touring gear fine. This tent could be a bit drafty and cool in colder temps but for summer biking trips the ventilation is appreciated. I did add two hanger loops in addition to the poorly placed factory loop and also did my standard pull modification to identify which pull to open in the dead of the night with a section of tubing. 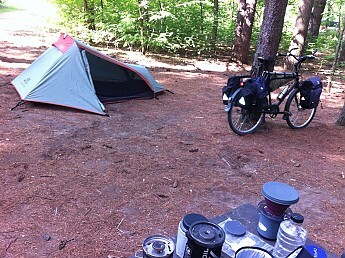 I think I will find that I will use this tent more and more as my two wheel shelter for bicycle and motorcycle touring. Nice review. Please note your last picture is upside down. I was looking high and low for a good one-man tent. Weight: Super light for its size! I was looking high and low for a good one-man tent. I was about to buy the Spitfire by Eureka. Then my Dad who is an avid backpacker told me a few things to look for. He has owned several 1 man tents in his days. He told me to look for a side entry, good head clearance and a rainfly. He had some tents that were just solid material and had no need for a rainfly. These tents cause a ton of condensation to form and soak you and your gear. He also told me to get one that has aluminum poles since he has had several fiberglass poles crack and fall apart. So when I took all these things into consideration I went tent shopping and found this one. It matched all the features I was told to look for. There was a Kelty one next to it for about $10 more but this tent was about a foot wider and a foot taller and only weighed about 4 oz more. I bought it at Sportsmans Warehouse. You can even fit a second person in there if you had to. It has been a great tent and I would highly recomend it to anyone!!!!! Specs and cost sealed the deal. We all know that a three-person tent is right for two, a two-person tent is right for one, and a one-person tent is right if the idea of sleeping in a coffin is attractive. Not all of them...but most. The Mystique WISELY split the difference and the result is more than ample room at a very reasonable 4 lbs. For the ounce counters who aren't willing to compromise for that extra space the Mystique might be pushing it. But I'm more of a pound counter than an ounce counter and this tent has delivered for me big time. I don't have a lot of experience with ALPS products. While not considered top-of-the-line, the gear reviews I've read have been generally very positive. I'll spend big money on packs and boots but do look to save elsewhere. And that usually comes down to looking at specs. When you place the Mystique 1.5 against the much higher cost competitors, and a few ounces or non-freestanding won't make or break a decision, you almost wonder why they charge so little. So when this came up on Sierra Trading Post for a ridiculously low $105 it was a no-brainer. And the best part is that I have no real complaints about the tent. The quality is there. Zippers move easily, aluminum poles feel like they'll last, intuitive set up, compresses down great if you carry your poles separately, good ventilation and it provides some nice options with the two, 10' vestibules. Add in an extra roomy 25 square feet of floor space (96" x 48") and it all adds up. That said, I haven't had this tent out under 25 degrees or in a severe rain storm so I can't speak to its functionality there but would expect it to handle a hard rain well. Also, I find it takes some maneuvering to to position a pack fully in the vestibules but it can be done. I'm sure there's room to pull the pack inside if you wanted. And with two vestibules you're covered. I wouldn't hesitate to recommend for someone either on a budget or who doesn't see the sense in paying a whole lot more for something comparable. Great job, ALPS. Have used the 1.5 Mystique for two seasons now. I don't have a lot of negative things to say about this tent, it's a little heavy and it's not free standing but for the price I paid I shouldn't complain. The tent has stood up to 30 and 40 knot winds, and countless downpours, not to mention a few inches of snow this spring. Condensation is not much of an issue with the top vent open. The vestibule is big enough to get my pack and boots out of the weather and it's tall enough to make entry not too much of a problem. Overall this is a great tent to use, one could always get a lighter tent but you'll end up paying hundreds more for about a 1 pound savings. I'll just save my money and cut out the burgers for lunch and lose the weight that way. Just received this tent. Set it up to seam seal it and set up is a breeze. 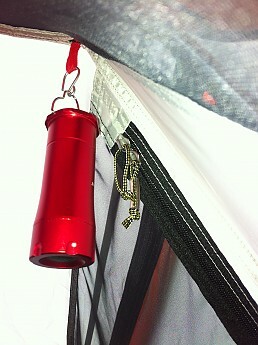 The clips on the rain fly make it so easy to attach and tighten it. Out of the shipping box mine weighed 4.1lb which is not super light but I feel you get a lot of tent for that weight. 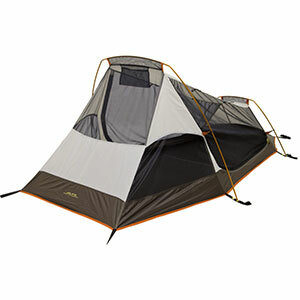 This tent is great for someone that has gotten in a Hubba and started laughing, lots of room even for a bigger person. 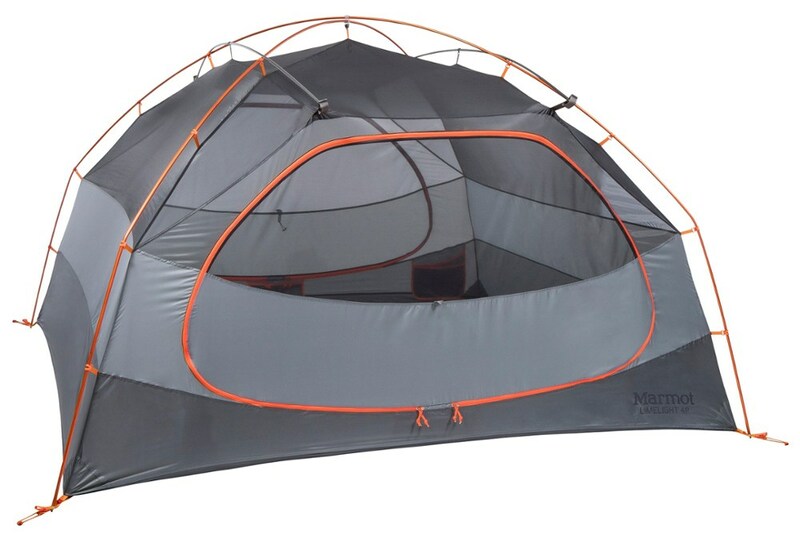 Overall this is a great tent at a great price. Quality is right there with any tent I've seen at any price. Will do an update when I've spent some nasty weather nights in it. Probably a 3 Season Tent. I did have a 1.0 but it was a little too tight for room with Boots under the crawl through end entry vestibule (that I did not like). This 1.5 has 2 vestibules with 2 doors which makes a huge positive difference for me. I changed the guylines, which were fine, to the line that has the reflective thread through it and added an extra so that there is 3 at each end. Also I sometimes take a 5'7" x 7'7" tarpaulin with me as a nice entry area floor cover. Yes, a little extra weight but most times really worth it. Nice being able to change standing up on the small tarp at the entry, dropping clothes and other gear on the ground tarp (not - dirt, dust, grass, etc) and it does not get any dirtier. Can even just sit down on it. Rather take the tarp than a chair. Roomy inside for me instead of a bivy, 5'10" 205lbs, with backpack, jacket and pants, sleeping bag, sleeping pad and even a small inflatable pillow, etc. I can sit up at the high pole area and not hit my head. Tent breathes well too. The entry is ok and even better how I run the long edge of the tarp along at the chosen entry side. Just crouch down and crawl in. Very sturdy when braced with guy lines. Another great value from ALPS. 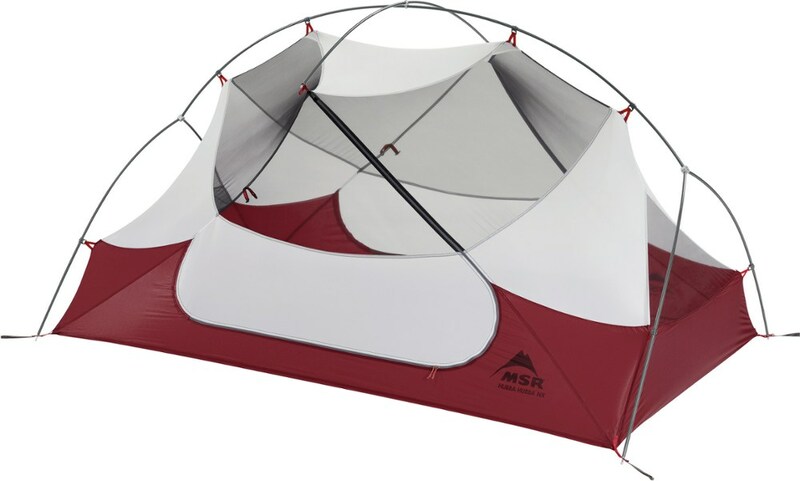 Same review as the Mystique 2.0 tent. I own both this and a 2.0. BOTH are fantastic values. I hiked the Olympic Mountains in Washington (Read RAINS A LOT) and have no problem whatsoever with either of them. I usually use the 2 to allow for more space. Unless I'm trying to cut weight, then I'll switch down to the 1.5. Are there better tents??? 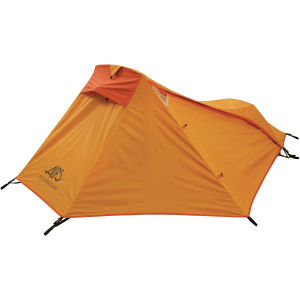 Yes, BUT there is no better value tent in this style that I have seen in 25 years of being a gear head. I've had over 23 different tents/brands, 28 different packs, a slew of bags and 1000's of pounds of gear (stoves, filters, cook kits, etc.). For years working at Christian Safari I have had/used gear for 12 backpackers of all shapes and size (kids to adults), meaning I've tried many brands and styles and though 12 is usually the max allowed per group hiking I've had total gear for 18 at all times. Canoeing gear for 9 paddlers, and camping gear for 30+ people for large church campouts.... yep a real gear head. I have/had qualities ranging from Stansport to Gregory/Dana Design/Moss/MSR/etc. We always looked for great value, rather than most expensive with lots of bells and whistles. 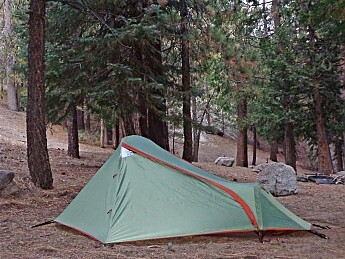 In 2000, I re-walked Colin Fletcher's 1000 Mile Summer and used, of all items, a Slumberjack Summer Bivy and would rate that at 3 stars (at the time it was the only side opener available). The only reason this Alps is not at 5 is it is just a little heavy. I will say I had the wind shift one evening with my 1.5 and burned a hole in the fly. Alps CS was very good and helped me out!!! Hmmm... so maybe 5 stars when you do consider the good Customer Service. Welcome to Trailspace, Hersh. Thanks for sharing your first gear reviews with us. This is an excellent tent. High quality workmanship and materials. Weatherproof design. Great for one person and moderate gear. Lightweight. Double doors are nice, as well as the small vestibule areas at each door. I would give it 5 stars if only it was self standing. But, it's not a dome so that would be quite a design challenge. Nonetheless, it's still very easy to pitch even though it requires stakes. 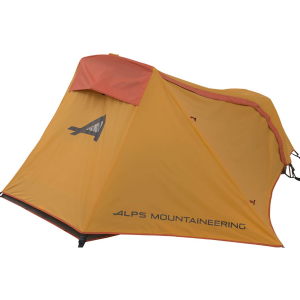 I shopped around and looked at all of the tents in its class and this tent is as high quality as any other manufacturer. IMHO, quality and price puts it #1.